It's still Rhubarb Central here! 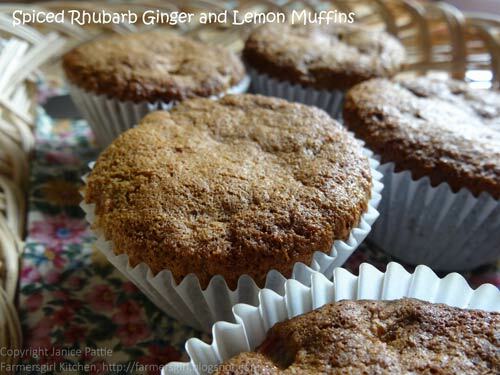 This time I'm bringing you some Spiced Rhubarb and Lemon Muffins. This is a classic combination with the spices including cinnamon and little pieces of crystallised ginger. I decided to make these when I saw the Recipes for Life Challenge at Vanesther's Bangers and Mash blog. The rules of the Recipes for Life call for a trio of ingredients, and this month they are rhubarb with lemon and spice. 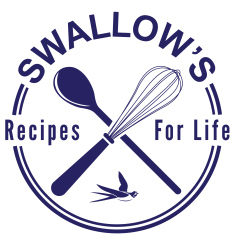 A monthly winner will be picked and the best of the recipes will be included in a new charity cookbook to be published by SWALLOW later this year. 2. Line you muffin tin with paper cases. 3. Place 125g of the sugar, oil, egg cinnamon extract and milk. 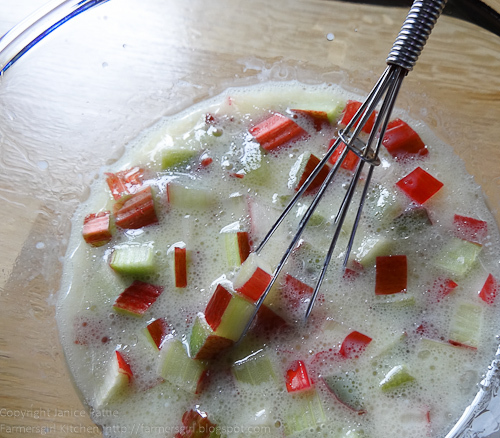 Mix together and add the rhubarb. 4. 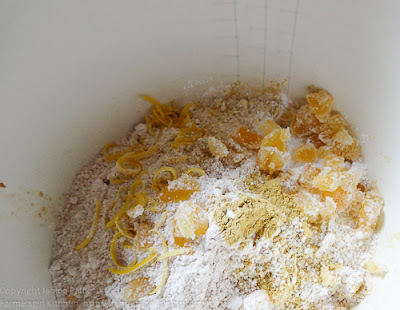 Sift your dry ingredients into the bowl, add the wet ingredients and stir until combined but don't over mix or your muffins will be heavy. 5. Spoon the mixture into the cases, filling about 3/4 full. 8. Leave in the tin for 5 minutes before transferring to a wire rack. 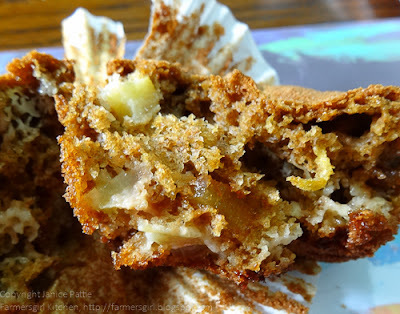 What I really liked about these muffins was that they were really moist, the acidity of the rhubarb and the lemon took the edge off the sweetness and the combination of ginger and cinnamon worked really well with the fruit. Best of all were the little nuggets of intense crystallised ginger. These look wonderful Janice - I love the idea of rhubarb in a muffin. Sounds like the perfect accompaniment to a cup of tea to me! Thanks for entering Recipes for Life - your support is greatly appreciated. My mum-in-law would go mad for these! That's Sunday afternoon tea sorted. Thanks! have never thought to add the rhubarb uncooked to a cake, dont know why as I add blueberries to muffins. will need to give these a try they sound fab. These look tres yummy. Major Rhubarb Fan. Thank you all, you don't need much rhubarb in muffins, it's such a versatile fruit/vegetable!